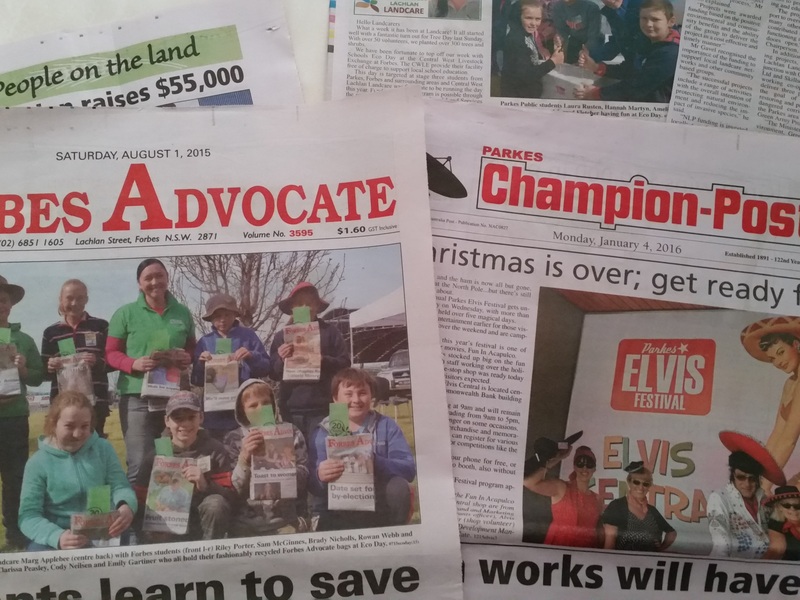 It has been a busy start to the year for us at Landcare with people coming and going from the Landcare building during Elvis week. Thanks to everyone for visiting! I can honestly say that everyone that passed through, whether it was for a cuppa and scones or to purchase a program, everyone was just lovely! Must be the music in the air! The fantastic thing about having events in our local area is that they have a positive impact on our whole region. It is good to love and protect your own patch, but we have so much to benefit from keeping an open mind to the bigger things that we can achieve if we work together. We will be settling into the year next week and looking in more detail at our plan for the next 18 months particularly, which will see out the Local Landcare Coordinator Initiative (LLCI) that covers my part-time role. We want to ensure that we are making the most of opportunities, not only within the shires of Parkes and Forbes, but across NSW and broader, if required. We are trying to be holistic in approach to Landcare in general this year, and, in a simplified form, we have three themes that we are tying our activities in to. Whilst they are separate, they all tie together closely in terms of achieving overall health for our region. Endless health reports talk about the benefits of appreciating our environment, whether that is through physical work, walking or just being in and understanding more about the things that make a particular area unique. Our three target areas are: Healthy Landscapes, Healthy People and Healthy Communities. Healthy Landscapes – obviously this covers a broad cross-section of activities including re-vegetation, improving farming practices and celebrating the wonderful diversity that we have in our regional landscapes. Healthy People – we want to be making the most of opportunities to increase our physical and mental health. This will take the form of education and practice, with some fun and challenging activities planned ahead this year. Healthy Communities – this will take the form of our normal yearly community activities, but we also have some new community activities planned that we hope, will not only increase the aesthetics of our community, but encourage community involvement. If you have any projects that you think Landcare might be interested in partnering with you to achieve positive benefits for our area, please get in contact with us. Our first CWLL Committee meeting will be held in Parkes on 21 February, which will come around quickly now that we are already heading to mid-January, which is hard to believe. I am looking forward to working from Forbes on Wednesday’s from February 2018, between 9am – 3pm. 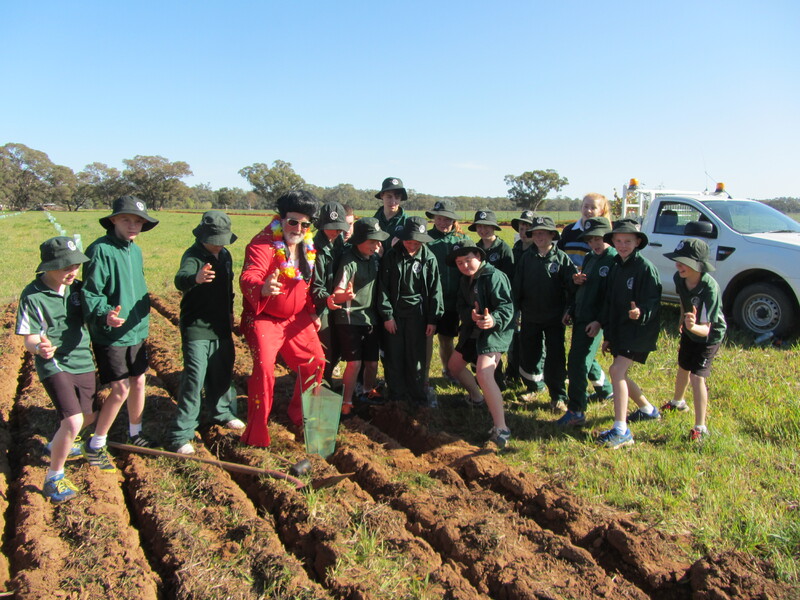 This year we will also be working within our local schools to expand our education program, utilising our Landcare Learning and Landcare Literacy resources. These resource boxes were developed several years ago and have been circulated around most of the Parkes and Forbes schools. I am keen to have them actively used in our schools and am looking forward to getting out to talk with as many classes as I can over the next 12 months. As well as having resource boxes that specifically target a school stage covering a range of topics from life cycles, farming, water, soil etc, we also have topic specific resources.